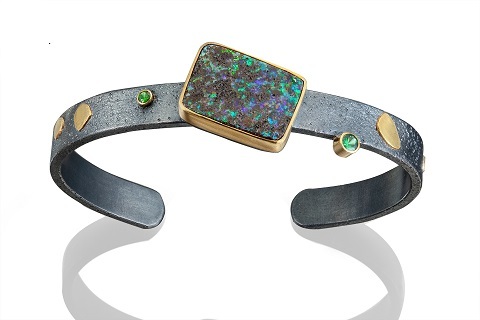 Cuff Bracelet, Boulder Opal, Tsavorite, Oxidized Silver, 22 and 18 Karat Gold. Fits up to size 6 1/2 wrist. 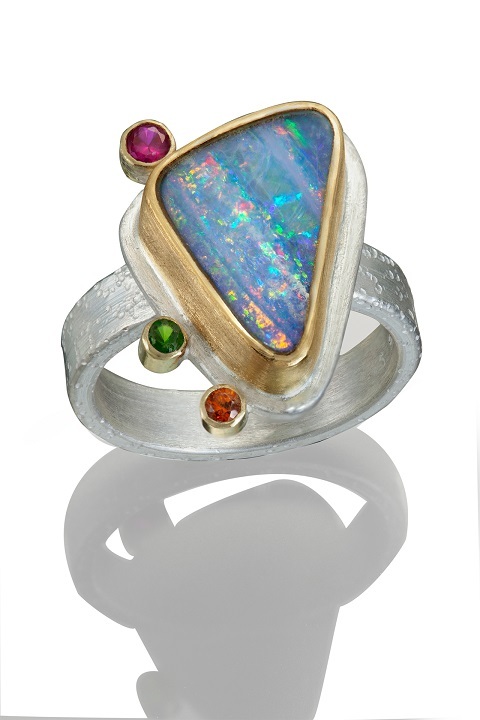 Boulder Opal, Sapphire, and Tsavorite Ring, Sterling Silver, 22 and 18 Karat Gold. All jewelry is handmade in my Brooklyn studio. 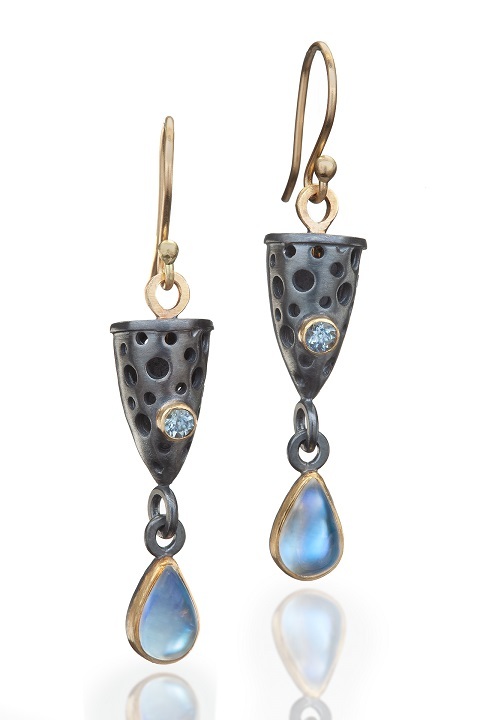 I work primarily with silver, 18 and 22 karat gold, and precious and semi-precious stones. All bezels are made using 22 karat gold.